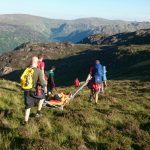 Incident Details: A 35 year old mountain biker fell off, and was unconscious for a period of time. One of his companions went to Seatoller to raise the alarm, and his other companions were able to assist him down to the road. 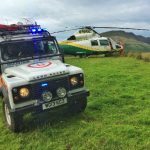 The Team were paged as it was initially an off-road incident, and two local Team members turned up to assist. However, the ambulance and air ambulance arrived simultaneously, and after the casualty had been assessed, the Team was stood down. The casualty was taken to the Cumberland Infirmary, but was discharged the same evening after tests had been carried out. 5 Team members – 38 minutes.